MegaBurner6 is the fall 2018 Novomatic Novoline release built on the paytable with 6 reels, 3 rows and 25 fixed paying lines. Bringing a classic gaming experience to the world of visually-appealing slot machines, the game works in both free play and real money modes. Even without any spectacular features, you’ll get to experience the retro-themed ambiance and watch for a big win when the most lucrative items appear. Interested to learn how to win? Read the MegaBurner6 slot review. Tired of reading? See the MegaBurner6 screenshots below and then claim one of the bonus offers of our recommended casinos to play for free or real! Before start the reels spinning, see will you play for fun or wager for cash. Now, set the coin value between €0.01 and €1, which defines your betting strategy as it is possible to place 25 coins per round. Symbols on the reels are nicely-designed and represent fruits of all sorts and tastes such as Lemons, Cherries, Plums, Oranges, and Melons. Sevens, Bells, and Bars have a bit higher rating than classics, while the first-mentioned are the only able to trigger the MegaBurner6 bonus prize. Instead of classic MegaBurner6 free spins, the luckiest winners will surely try to collect no less than 6 Red Sevens as they will get them a big win. The game is designed for classic one-hand bandits, but you can play online using any modern mobile device. There is no need to download the iPhone app or the Android .apk file for this purpose. 3. What is the RTP factor of MegaBurner6? The RTP official info will be announced as soon as we close our research around the Novomatic-powered sites. The Allpay fruit game is a fast-paced release that we can recommend to the hard-core punters. 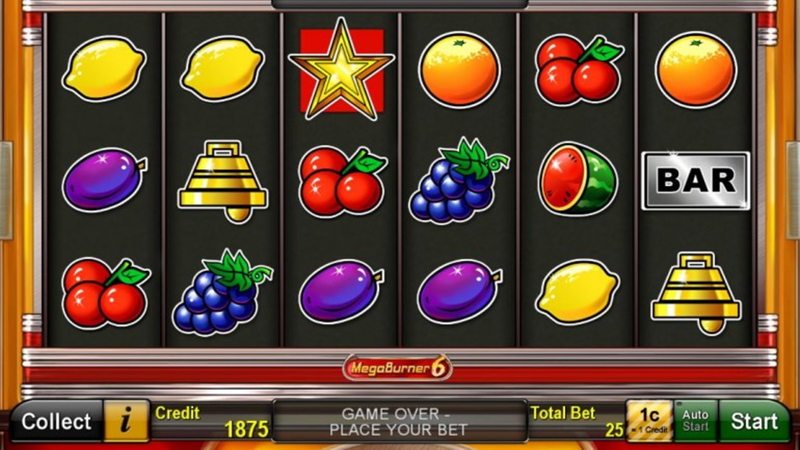 After reading the MegaBurner6 recension, we’re sure that the most ambitious players will definitely try to score a jackpot as they won’t matter the house edge or a bit higher entry-fee, even at the lowest gaming levels.